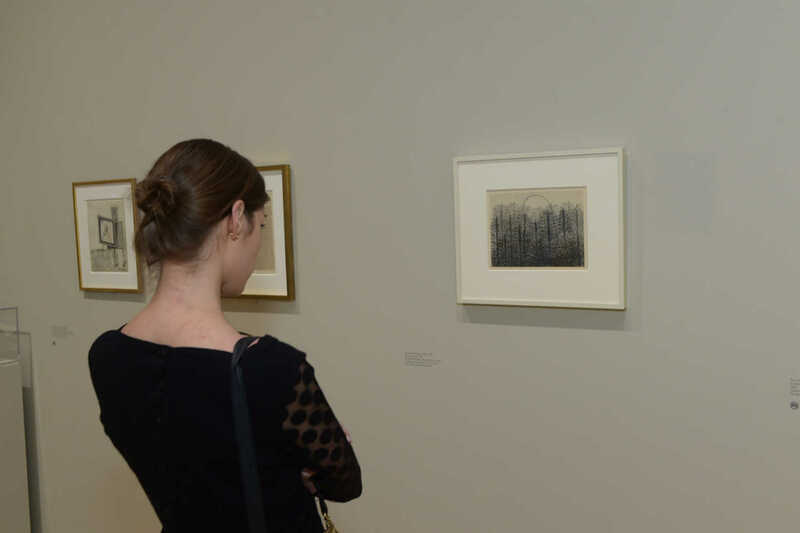 Contemplative Art Viewing, Hammer Museum, April 10, 2015. Support the New Meditation Center in San Francisco, 2015. Care, Compassion and Mindfulness, Cal Poly Pomona. November 7-9, 2014. Mindfulness for ADHD: Training for Adults, Parents and Professionals. Petaluma. August 7-10, 2014. Insight Meditation for the Curious, April 3-6, 2014. The Mindful Awareness Retreat: A Pathway to Happiness and Insight, with Grove Burnett and Richard Mahler, July 10-14. Vallecitos Mountain Ranch, Taos, New Mexico. YOGA FOR HOPE: Fundraising event for those with life threatening illnesses, May 19, Santa Monica. 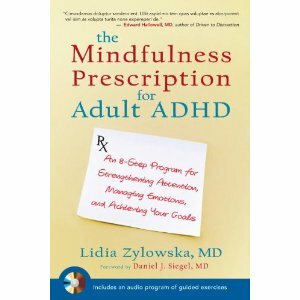 "Feeling Scattered: Mindfulness for Adult ADHD" at Mindfulness, Spirituality and Mental Health Conference, with Lidia Zylowska, May 24, Ventura. Association for Humanistic Psychology 2012 Winter Conference: Mindfulness in Psychotherapy, March 3rd, 8am - 6pm. Bridging the hearts and Minds of Youth: Mindfulness in Clinical Practice, Education, and Research, UCSD Center for Mindfulness. Feb 4-5, 2012. Mindful Care of ADHD: Using Mindfulness Training to Support Evidence-Based ADHD Interventions Mark Bertin, M.D., March 15. Diamond Approach, based on the work of Hameed Ali, starts in Los Angeles, August. Mindfulness in Education: A Retreat and Training, Spirit Rock Meditation Center, CA, August. Mindfulness 101: A Retreat for the Beginner in All of Us, New Mexico, June. 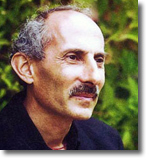 Jack Kornfield: Freedom and Joy, Love and Forgiveness: The Open-Hearted Way, InsightLA, May 29. Simms/Mann UCLA Center for Integrative Oncology Presents: "Insights into Cancer"
Save the Date: Grand Opening of the UCLA Family Commons. Lecture: Introduction to Mindfulness for Patients with Cancer and their Caregivers. Mindful and White--Daylong Event with Arinna Weisman, Trudy Goodman, Diana Winston, and Noah Levine. In this daylong we ask the critical question, for those who identify as white, how can we mindfully work to unlearn racism? How do we hold the suffering in our lives and in the world? As white people who care about racial justice, we acknowledge that we have been shaped by a system of unearned privilege that leads to suffering for ourselves, our community, and the larger society. How can those who identify as white engage with the vital issues of racial justice in our world? With great attention to the movement of our hearts, we will explore through meditation, dharma talks and guided conversations how we bring our practice to bear on this important dimension of our lives. Venue: ATS Santa Monica, 1001a Colorado Avenue, Los Angeles. Mindful awareness is the moment-by-moment process of actively and openly observing one's physical, mental, and emotional experiences. Mindfulness educator Mitra Manesh leads a mindful art-viewing experience of objects in the exhibition Making Strange. The intention of Contemplative Art Viewing (CAV) is to explore the relationship between the arts and self by combining art viewing and mindfulness practices. Co-presented with UCLA Mindful Awareness Research Center. Supported by the UCLA Healthy Campus Initiative. Venue: Hammer Museum at UCLA. Look for signs or ask a Visitor Experience Representative. Parking: Under the museum, $3 for first 3 hours, with validation (cash only). Validation available at the Welcome Desk. This retreat is for those who are currently facilitating or plan to be facilitating mindfulness, or for clinicians using mindfulness in therapeutic interventions. Cosponsored by UCLA's Mindful Awareness Research Center. This unique retreat, for those who currently facilitate or plan to facilitate mindfulness, will offer an experiential understanding of mindfulness practice through retreat format as well as tools, exploration, guidance and support around facilitation. o Enjoy a rich community of like-minded mindfulness practitioners and facilitators. Teachings are appropriate for all, including health care professionals. Continuing Education (CE) credit available. Join Pema Chodron and kd lang for an evening of insight and music to benefit Tools for Peace and the Pema Chodron Foundation. Pema and kd, coming together for the first time, will have an intimate dialogue followed by a musical performance with kd lang. We live in a world that increasingly demands our instant attention. This constant external stimulus includes economic stress, high work demands, and concerns over collapsing systems, such as the environment and job security. To balance all the ways in which life's distractions hijack our well-being, a growing cultural momentum offers a promising alternative-the cultivation of mindfulness, awareness, and compassion. In this day-long retreat, you will learn about the science and research of mindfulness, its impact on neuroplasticity, and its many other health and life benefits. You will practice mindfulness and meditation, gain the ability to cultivate what states and responses you pay attention to, and experience equanimity, joy, and compassion. Register: extension.ucr.edu, click on the A DAY OF MINDFULNESS link. Parking: Convenient parking is available in LOT 4, accessible from Sunset Blvd at Westwood. Parking is $12; automated pay stations accept $1 or $5 bills and credit/debit cards. Mindfulness educator Mitra Manesh will lead a one-hour art-viewing experience of works in the Museum's collection. This contemplative session takes place in the Grunwald Center for the Graphic Arts and is designed to deepen the art exploration experience by focusing on the suspension of judgment, creating an opportunity for art, artist, and self to be considered anew. Parking: Under the museum, $3 for first 3 hours, with validation (cash only). Validation available at the Welcome Desk in the Wilshire Lobby. Help Matthew Brensilver, visiting professor at MARC, and Against the Stream, complete the construction of a new meditation center in San Francisco. Make a donation of any size to their indiegogo site. Ahimsa Center in the College of Letters, Arts and Social Sciences at Cal Poly Pomona (in suburban Los Angeles) invites paper and presentation proposals for its sixth biannual conference. The Mindfulness for ADHD course is an intensive retreat version of the 8-week Mindful Awareness Practices (MAPs) for ADHD. The training was originally developed at UCLA MARC and further elaborated in the "Mindfulness Prescription for Adult ADHD" book. This joint training (i.e. general public and professionals learning about ADHD and experiencing mindfulness together) offers a unique opportunity to see ADHD symptoms as a variant on a spectrum of common human experience. The training will honor the unique learning differences those with ADHD face as well as draw parallels to universal human struggles. " Have you ever been curious about Insight Meditation? This silent retreat will teach the essentials of this practice and offer key Buddhist teachings. We will explore ways to awaken our mind and heart so that we can learn to live a life of wisdom, compassion, inner peace and freedom. The long weekend will combine sitting and walking meditations, dharma talks and opportunities to meet with a teacher. An excellent opportunity for those new to retreat practice, and also ideal for experienced practitioners who wish to do a short retreat. The retreat will end Sunday before noon. Innovation and creativity are understood as necessary skills for thriving in a dynamic economy, but what is often left out is the role of transforming the mind itself. Today's overwhelming challenges require leaders to move beyond "being effective" to fundamentally change themselves and how they see and relate to the world. How can individuals and organizations let go of ego and transform mindsets to evoke creativity, productivity and innovation? In this edition of our Drucker Business Forum series we hear about a new model for creative and productive leaders, a model in which innovation is actually a complete mentality, not a business-led process. Join Diana Winston along with Sue Moon and Florence Caplow, editors of The Hidden Lamp: Stories from Twenty-Five Centuries of Awakened Women for an evening book reading, meditation, book signing, and discussion of women in Buddhism. The Hidden Lamp is a collection of one hundred koans and stories of Buddhist women from the time of the Buddha to the present day. This revolutionary book brings together many teaching stories that were hidden for centuries, unknown until this volume. These stories are extraordinary expressions of freedom and fearlessness, relevant for men and women of any time or place. Nobody tells us this when we're growing up, but being human is kind of a big deal. It feels great, it hurts, it's intense. We know it won't go on forever. Given this, what kind of happiness is possible for us? In this retreat, we will sit together in the refuge provided by the teachings on wisdom and love. The retreat will include sitting and walking meditation, practice instructions and dharma talks. All are welcome to attend. Robert Thurman and Sharon Salzberg, influential figures in meditation, philosophy, and spirituality will present in Hammer Conversations. They are co-authors of the book Love Your Enemies: How to Break the Anger Habit and Be a Whole Lot Happier. UCLA Health invites you to FREE health screenings, exercise and yoga demonstrations, consultations, nutritional counseling, health education, exhibits and light, healthy refreshments. Join these two renowned teachers, Dan Siegel M.D., pioneer in the field of interpersonal neurobiology and Jack Kornfield Ph.D., one of the world's leading Buddhist teachers in a dynamic presentation of the skills, science and the art of well-being, mindfulness and love. Leading experts in the health and wellness fields will discuss the keys for ensuring a healthy body, mind and spirit at this FREE community program. The day will feature a keynote lecture on"Stretch Your Mind At Any Age" and interactive workshops addressing resilience, brain health, integrative medicine, spirituality, mindful eating, gluten-free diet, attitudes on aging, creative approaches to wellness, and community engagement. In addition, the program will include Tai chi, mindful meditation, zumba exercise, reiki, chair yoga and stretching demonstrations. Date: Saturday, September 7, 8 am to 3 pm. Venue: UCLA Medical Center, Santa Monica, 1250 16th Street, Santa Monica. "Teach someone to fish and you feed them for a lifetime." We begin with a Chinese fishing proverb because it reflects our end-goal: This program will give you the theory and practice you'll need to teach mindfulness and awareness in a way that is consistent with modern science, psychology, educational pedagogy and classical contemplative training. We do not offer techniques for every challenging situation but a process-oriented approach through which you'll develop a way of being in the world that strengthens and supports how you communicate with youth. You'll learn age-appropriate activities for children and teens that can be easily integrated into your routine at home, in the classroom, after-school, or in clinical practice. Inner Kids first level of training consists of two residential, weekend retreats between which there will be self-paced online presentations and training modules. Our suffering comes from identifying with the story and feelings of a separate, limited self. The path of true refuge awakens us through three archetypal gateways: Truth (of the present moment), Love and Awareness. In this special daylong workshop, we will will explore mindfulness and heart practices through silent and guided meditations, short talks and time for sharing and questions. 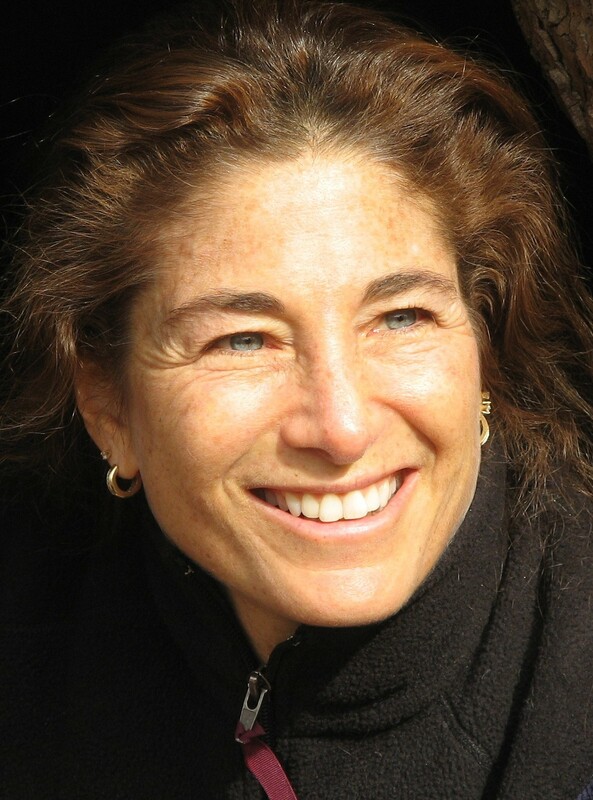 We are delighted to welcome Tara Brach - author, lecturer, clinical psychologist and founder of the Insight Meditation Community of Washington. Her latest book, True Refuge, will be available in 2013 from Bantam Books. In response to the increasing pace and complexity of medical practice, physicians and other health professionals are experiencing unprecedented levels of job dissatisfaction and burnout, affecting their sense of well-being and the quality of care they provide. A powerful but under recognized approach to these challenges is to enhance the practitioners' capacity for mindfulness. This workshop will be devoted to establishing an experiential understanding of mindfulness meditation, narrative medicine, and the application of appreciative inquiry in interpersonal dialogue. Participants will work together in large and small groups, with didactic elements built into the experiential exercises. The morning session will center on themes of 1) the Present Moment and Teamwork. Participants are encouraged to use clinical experience as the source material for the narrative development and appreciative dialogues. Join Gael Belden and Brian Shiers in a secular mindfulness retreat for families with children 5-11 years and older siblings 17+. Children are led in activities to educate the mind, heart, and body while adults explore mindfulness meditation with a special view towards relationship, silent practice, movement, dialogue, deep relaxation, and art. Adults and children come together over lunch and on closing to share the day's experience. Cost: Suggested Donation: $45/adult $60/family, Kiddos 5-11 FREE! (4) a panel on creative arts therapy applications for specific populations, including drama therapy applications serving people who have autism, dance/movement therapy serving people who have mental illness, and art therapy for people affected by trauma. 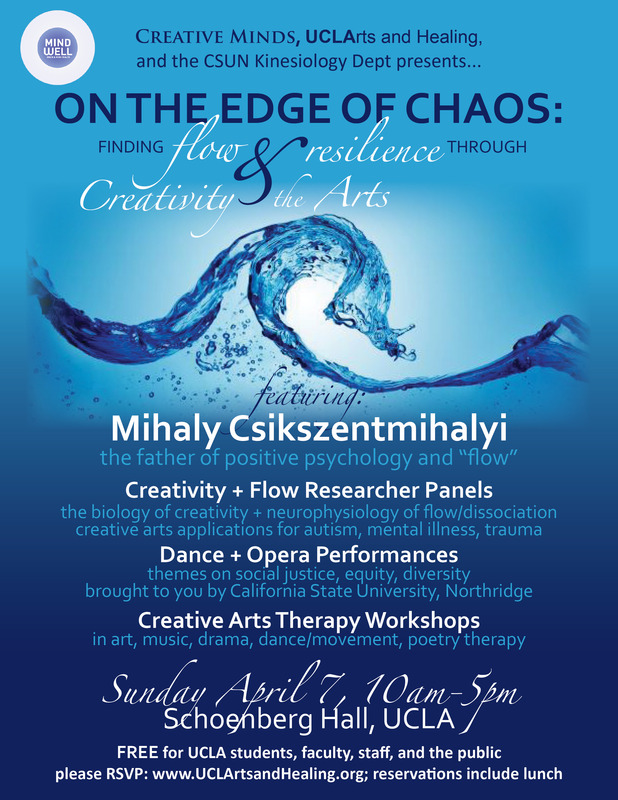 We are also excited and honored to feature Dr. Robert Bilder, who will discuss mental illness, brain functions involved in flow and creativity and to have Dr. Mihaly Csikszentmihalyi, the father of positive psychology and flow, as our keynote speaker. Cost: FREE for everyone (UCLA students, staff, faculty, AND the public) and free lunch is included with registration. In the conference on May 2, Diana will introduce the foundations of mindfulness meditation in theory and practice. We will learn the cutting edge science behind mindfulness and the basic practices which can be used to help reduce stress, improve attention, create more emotional balance and well-being. This daylong retrat on May 3 will introduce the foundations of mindfulness theory and practice. We will learn the basics of mindfulness, the cutting edge science behind it, and practice a variety of tools and exercises to get an experiential understanding of mindfulness. Join us for a 75-minute mindful art-viewing experience at the Armand Hammer Museum. This contemplative session is designed to deepen the experience of art exploration by meditating and focusing on the suspension of judgment and creating an opportunity for art, artist, and self to be considered anew. Next event will be on Saturday, April 6, 2013, from 1:00 pm to 2:15 pm. Learn about metacognitive awareness, a critical foundation to mindfulness meditation. Develop greater effectiveness in Mindfulness based Cognitive Behavioral Therapy for the treatment of anxiety disorders. This 8 week group training of maximum of 10 participants is recommended for mental health practitioners with previous training in mindfulness meditation. All participants must commit to the entire 8 week training. This day-long conference, featuring a keynote by Jon Kabat-Zinn, will illuminate the connections between mindfulness and compassion, focusing on how mindfulness can deepen relationships, enhance caregiving, and build compassion. Will be webcast live! Give someone a fish and you feed them for a day; Teach someone to fish and you feed them for a lifetime. Our goal is to give you the theory and practice you'll need to teach mindfulness and awareness in a way that is consistent with modern science, psychology, educational pedagogy and classical contemplative training. We do not offer techniques for every challenging situation but a process-oriented approach through which you'll develop a way of being in the world that strengthens and supports how you communicate and work with youth. You'll learn age-appropriate activities for children and teens that can be easily integrated into your routine at home, in the classroom, after-school, or in clinical practice. Inner Kids first level of training consists of thirty-six hours of classroom instruction that is divided into two sections. To offer you a conceptual framework for both the theory and practice of mindful awareness based on key universal concepts common to modern science, psychology, philosophy, theology, educational pedagogy and classical contemplative training. To offer you clear secular language and instruction in eight strategies or life-skills that naturally emerge from the practice and understanding of these key universal concepts. To offer you age-appropriate lessons teaching key universal concepts and strategies/life-skills to youth that can be easily integrated into your routine at home, in the classroom, after-school or in clinical practice. To co-create a community of support, encouragement and mentoring for all - faculty and participants together. Applications deadline February 15, 2013. The inaugural Advances in Meditation Research (AMR) conference will be taking place January 17, 2013 at the New York Academy of Sciences in Manhattan. The speakers are practitioners of a range of meditative practices and acting at the interface of science and spirit as highly trained scientists conducting rigorous cutting-edge research into the ways in which meditative practice affect consciousness, the brain, aging, and clinical outcomes. We will present the state of meditation research so as to facilitate the findings being safely and efficiently translated into modern education, medicine, and social change. Dr. Lobsang Rapgay, research psychologist from MARC will contribute to the conference as a speaker. Help raise money to help the hungry, meet people and have a great time! We will start registration at 9 am at the New Roads School, 3131 Olympic Blvd, Santa Monica CA, where some parking is available. The walk will start at 10 am, and follow a three mile route to end at Against the Stream (1001a Colorado Blvd) in Santa Monica, where a potluck lunch will be served. Participants are welcome to drop off food or beverages at Against the Stream before the walk. The Stanford University Center for Compassion and Altruism Research and Education presents The Science of Compassion: Origins, Measures and Interventions, the first large-scale international conference of its kind dedicated to study of compassion. It will provide an unprecedented meeting of leading experts in research on compassion, altruism, social connection and service presenting their latest research findings. The conference will explore the origins and antecedents of compassion and compassionate action, how it can be measured, and how we can develop and foster it through interventions. The conference is open to researchers and community members interested in compassion, altruism, and service. Among the presenters are leading figures in Psychology such as Dr. Phil Zimbardo and keynote speaker Dr. Richard Davidson, pioneer of research on meditation and the brain. 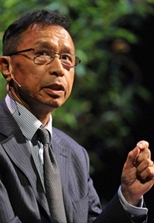 In addition to researchers, other invited speakers include distinguished figures and academics in the world of compassion such as Thupten Jinpa Langri. Want a happy, successful middle schooler? For parents of humans heading into 6th or 7th grade, there's The Zone School - a new, private, low-tuition, "fun-driven" middle school that will be working with the UCLA Mindful Awareness Research Center. The goal is to create a school that kids don't simply tolerate, but are actually happy and eager to get to. (Being "happy" actually maximizes academic achievement). We'll also be training them in mindfulness skills to manage their inner worlds as they go from 12-14. It also integrates aerobic activity into the school day plus other research-proven learning techniques. It's the creation of a group of UCLA-area parents and intends to launch this fall. "The Mindful Awareness Retreat: A Pathway to Happiness and Insight, with Grove Burnett and Richard Mahler, July 10-14. Vallecitos Mountain Ranch, Taos, New Mexico. During this retreat we will practice sitting and walking meditation throughout the day, with daily lectures and group meetings exploring the science behind mindfulness, how to deepen our mindfulness practice, how to work with challenging emotions, and how to develop more self-compassion and kindness. The extraordinary Vallecitos wilderness, with its towering stands of old growth forest, lush meadows, alpine lakes and exqusite Vallecitos River, greatly enhances and deepens our meditation practice. The daily schedule will include mindful walks into the majestic woods and landscape surrounding the ranch. Venue: Vallecitos Mountain Ranch, Taos, New Mexico. 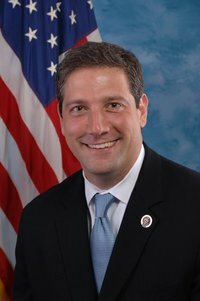 Congressman Tim Ryan, a passionate mindfulness advocate and author of A MINDFUL NATION, is coming to the beautiful Broad Stage as a benefit for InsightLA. If more citizens can reduce stress and increase performance - even if only by a little - they will be healthier and more resilient. They will be better equipped to face the challenges of daily life, and to arrive at creative solutions to the challenges facing our nation. Venue: Broad Stage, Santa Monica. The materially rich, demand-driven lifestyle and acquisitive striving of our consumer society have created for many of us a sense of stress, anxiety and a persistent time urgency, along with epidemic levels of obesity. If we can find the balance between what we truly need and much of what we have come to want, we will equip ourselves to re-channel our energies away from unquestioning consumption and toward a creativity that better serves our own happiness and the common good. Please join Dr. Peter Wybrow, Director of the UCLA Semel Institute for Neuroscience & Human Behavior on this Expert Series at the UCLA Family Commons. Please join the yoga and healing community this Saturday for the 2012 inaugural Los Angeles Yoga for Hope--a fundraising and awareness event for City of Hope and the integration, research and promotion of yoga, music and mind-body practices as preventive and supportive care for patients, as well as their loved ones, dealing with Cancer, Diabetes, HIV/AIDS and other life-threatening diseases. Gift bags for all registered participants will include great meal and shopping discounts, water bottles, sponsor gifts and a special edition Yoga Revolution CD: Music For Hope. Venue: Outdoor center court at the Santa Monica Place in Santa Monica, California. Join us for our daylong immersion workshop about the effective infusion of mindfulness based meditation into yourlife and practice,addressing issues such as substance abuse,couples work,working with children and the elderly,and chronic physical issues. Join us for a weekend of healing and rejuvenation, exploring the powerful nature of grief and transformational Iyengar yoga at a beautiful natural hot springs private estate near Joshua Tree National Park, two and a half hours outside of Los Angeles. Learn how to move through the new terrain of grief and discover the various resourc¬es that sustain us, as well as those inner places where we find strength, love and support surrounded by wide-open desert surroundings. Confidential compassionate grieving support, letting go rituals, opportunities for creative expression, appropri¬ate coping skills, and grief specific all levels yoga sequences. At the International Symposia for Contemplative Studies, world-renowned basic scientists such as Richard Davidson, Ph.D., Tania Singer, Ph.D., and Amisha Jha, Ph.D., will discuss current challenges and methods in meditation research with regards to neuroscience and contemplative experience, and explore how science may inform contemplative practices including Buddhist practices, Christian practices and Yoga practices. Key contemplatives including Matthieu Ricard, Sharon Salzberg, and Roshi Joan Halifax will deliver Keynote Address and Master Lectures on the nature of contemplative practices and how they can inform science. Constructed around the three "pillars" of clinical practice, education and research, this inaugural 2-day conference aims to support and extend the work of those who bring mindfulness to children and teens in a variety of settings. By bringing together noted experts in the field of mindfulness in these arenas, we hope to encourage an ever-growing dialogue and contribute to the greater goal of bettering the lives and futures of youth everywhere. Join renowned Buddhist teacher and psychologist Jack Kornfield and international pioneer in the fields of interpersonal neurobiology and mental health Daniel Siegel for a remarkable two days of immersion in modern neuroscience and eastern psychology. Explore new research on the power of mindfulness, the art of healing and the establishment of inner balance. Discussions will include the brain science of how to reduce stress and develop neurological and social well being, love and connectedness. Weaving the latest findings in neuroscience and the inner functions of the brain with the teachings of Buddhist psychology, Kornfield and Siegel will lay out practical and theoretical ways for professionals and meditators alike to use and employ these breakthroughs in their own lives and for those they work with. This conference provides direct practical steps and trainings to transforming one's own brain and nervous system and liberates the mind's innate drive toward compassionate and loving relationships. Drawing upon the rich wisdom of Buddhist practice and an innovative synthesis of over a dozen branches of contemporary science, Mindfulness, Healing and the Neurobiology of Love will provide a scientific and immediate understanding enabling us to heal trauma, develop our human capacities for love and establish healthy ways of being in our modern and fast changing world. Mindfulness is a simple yet profound practice that changes lives. If you're committed to mindful living, eager to learn more about its growing influence across all facets of society, or only beginning to discover the transformative power of mindfulness, sign up now to begin Creating a Mindful Society. This pioneering event in New York City will feature keynote presentations by four outstanding leaders in the mindfulness field-Jon Kabat-Zinn, Richard J. Davidson, Janice Marturano, and US Congressman Tim Ryan-plus a rich program of dialogue and practice sessions. Free streaming available until 7p.m. (ET) January 31, 2012, the streaming on-demand edition of this historic conference explores all the proven, practical ways that mindfulness can transform our lives from the inside out-and help reshape society, from health, work, and family to education, leadership, and policy. We're inaugurating the Family Public Square Expert Series by brining some of UCLA's leading researchers to speak to you on topics central to the health and well-being of your family. This brilliant, innovative iPhone App helps you develop over 40 healthy habits for your mind, body and relationships. Livifi pairs concise, engaging, evidence-based information with an intuitive tool for setting goals and tracking progress. We all have ideas about how to make our lives better, but getting from the idea to the action is never easy. This is where Livifi steps in - it gently guides (and prods) us towards a healthier and happier life. Gain more consistency with your mindful meditation practice by accessing MARC audio on-the-go and tracking your progress. Presenters address the effects of trauma and attachment dynamics on the developing brain and body, explore how the disruption of the instinctive evaluation of safety and danger (fight, flight, freeze, and feigned death) can lead to problems that often bring children to therapy, and elucidate the significance of the "somatic narrative" in child and adolescent treatment. The ongoing process of body-based, implicit, nonverbal behavior, and the complex interplay between psychological experience, procedural learning, sensory processing, and affect regulation are illuminated through an exploration of movement patterns, gestures, stance, postures, prosody, and other non-verbal cues. Brief experiential exercises and videotaped excerpts of sessions with children and adolescent clients illustrate techniques of Sensorimotor Psychotherapy that initiate new ways to build self-regulation and relationship skills, foster resilience, and create new competencies, all conducted in an atmosphere of curiosity, play, and discovery. This inaugural international conference will be held in the beautiful Banff, at The Banff Centre. There is an amazing line-up of renowned speakers that include: neuroscientist, psychiatrist, and author Dan Siegel (The Mindful Brain); Randye Semple (MBCT-children); Gina Biegel (MBSR for Teens/Stressed Teens); Laurie Grossman (Mindful Schools); Chris McKenna (Mind Body Awareness Project) and others. This professional training conference offers skills to doctors, educators, therapists, parents and other care-providers working with children and adolescents. Time in the conference will be committed to fostering the attendees own mindfulness practice and self-inquiry while learning to apply mindfulness-based interventions with youth. 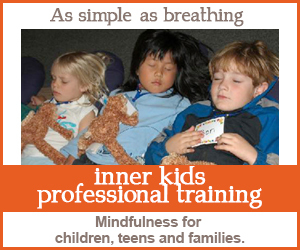 This training will focus on integrating mindfulness-based programs in youth populations. Mindfulness interventions are evidenced-based in cultivating empathy, attention, presence, emotion-regulation, inner clarity, and other necessary life skills. Mindfulness interventions with adults have become a popular researched modality, but work with child and adolescent populations is more in the nascent stages. This training synthesizes the techniques and modalities being currently offered for youth by the top scholars in field to extend what is currently used and known to those in attendance. Integrated throughout this conference is a seamless interlay of both personal meditative practices as well as those exercises appropriate to youth. 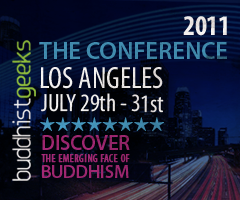 Taking place July 29th - 31st, 2011 in Los Angeles, Buddhist Geeks | The Conference brings together some of the most exciting teachers, leaders and thinkers from the U.S. and beyond. Come join Buddhist Geeks as they continue their ongoing mission to discover the emerging face of Buddhism, which started with the Buddhist Geeks podcast-now downloaded over 100,000 times each month-and will now extend to this exciting live event. Scheduled keynote speakers include author of Rebel Buddha Dzogchen Ponlop Rinpoche, innovative mindfulness teacher Shinzen Young, and leading Silicon valley game designer Jane McGonigal, along with a host of other speakers. With a vibrant program of presentations, workshops, performance and participant-led elements and its inclusive non-denominational attitude, Buddhist Geeks | The Conference promises to be one of the most innovative, energetic and relevant events in the Buddhist world. Treat Your Mind, Body & Soul To a Retreat From Your Busy Life. Grandmaster Xu has been recognized as a world renowned Healer, Teacher, and is the present-day lineage holder of ZY Qigong. He has been taught annual Qigong intensives at Shaolin, China, for 11 years. Author of at least 14 published books on Qigong, he travels the world healing and teaching Qigong. This is a rare retreat with Grandmaster in North America, for the first time in Southern California. Join us for an evening of music, art, and exploration into the art and science of meditation practices with Diana Winston. Diana will be speaking about mindfulness -- the art of being in the present moment with an open and curious attention. She will be offering practices to deepen our ability to be present and connect more fully with our inner lives. The evening's program will also feature a live musical performance by Michael and Jahna Perricone as well as a special screening of METASPHERE -- an open eyed "animeditation." Note: Seating is limited to 30 attendees so please purchase tickets to guarantee your seat. 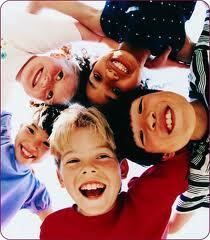 Comprehensive care of patients with ADHD begins with appropriate medical, behavioral and educational interventions. Even with these broad support in place, living with ADHD is often challenging, increasing stress and reactivity, straining relationships, and hindering an ability to address ongoing issues both creatively and consistently. Come early to network and for support! This year Maria Shriver is sponsoring a groundbreaking event for low-income women of Long Beach and nearby areas - "The Modern House Call for Women." The event is a comprehensive health, wellness and financial services clinic available at no charge to uninsured, underinsured, and unemployed women. Our "Modern House Call for Women" will provide free medical, dental, vision and wellness care for thousands of women, without cost to the patient, taxpayer or government. The holistic event will include educational exhibits and counseling services provided by non-profit organizations and government agencies to encourage healthy lifestyles and preventive care. We are partnering with health clinics, medical groups and community based organizations, including the Los Angeles Dental Society and Planned Parenthood Los Angeles, among many others. In addition, the event will also feature WE Connect's money savings programs. The Bodhisattva is a being whose life is dedicated to waking up for the sake of all beings. It may seem like an ideal that's out of our grasp, but the truth is, everyone who is drawn to it can commit to taking Bodhisattva Vows - to live life with wisdom and compassion to benefit all. In this day, we will explore the Buddhist Bodhisattva ideal and vows we can take to bring our practice to a new level - whether it is to commit more rigorously to our spiritual life, or to vow to live and serve for the benefit of all beings. The day of sitting, walking, reflection, and dialogue will end with a ceremony where we will publicly take Bodhisattva Vows. Please Note: This is a non-MARC event. Diana will be offering Buddhist teachings in a Buddhist setting. Bodhisattva Vows - a day of sitting & walking meditation, reflection, and dialogue. The Bodhisattva is a being whose life is dedicated to waking up for the sake of all beings. It may seem like an ideal that's out of our grasp, but the truth is, everyone who is drawn to it can commit to taking Bodhisattva Vows --to live life with wisdom and compassion to benefit all. In this day, we will explore the Bodhisattva ideal and vows we can take to bring our practice to a new level -- whether it is to commit more rigorously to our spiritual life, or to vow to live and serve for the benefit of all beings. The day of sitting, walking, reflection, and dialogue will end with a ceremony where we will publicly take Bodhisattva Vows. Cost: $50 plus the opportunity to offer dana to the teacher. Come spend an evening with Diana as she discusses her new book, Fully Present: The Science, Art and Practice of Mindfulness. Fully Present provides both a scientific explanation for how mindfulness positively and powerfully affects the brain and the body as well as practical guidance to develop both a practice and mindfulness in daily living, not only through meditation but also during daily experiences, such as waiting in line at the supermarket, exercising, or facing difficult news. For more information please call: 323.665.4300 or visit the website againstthestream.org. A new Diamond Approach group, based on the work of Hameed Ali, is starting up in Los Angeles. Introductory weekends begin this summer. The group will be led by Sandra Maitri and Eugene Cash. The teaching of the Diamond Approach integrates a spiritual psychological approach to personal growth, exploring what is essential about being human. The main practice is on-going inquiry into the experience of being present. When: Introductory weekends will be offered on June 26-27, August 7-8, October 23-24. For more information please visit the website: diamondapproachla.com (on line in mid-April) or contact Carli Simons at carlisimons@yahoo.com or (818) 508-9721. This is a powerful opportunity for young adults to practice quieting their minds and opening their heart through the practices of insight and lovingkindness meditations. Together we will learn that freedom is possible through meeting ourselves, our relationships and our world with deepened wisdom, compassion and acceptance. The retreat will include silent and guided meditation, qigong, community-building, and some discussion on issues facing young adults (18 to mid-30's). How can we bring mindfulness to classrooms, teachers, school systems, and children of all ages? Join us for this unique retreat program where we will practice mindfulness, build community, learn techniques from experts who have brought mindfulness into schools, and explore the larger questions of mindfulness in education. This retreat is for beginners and anyone interested in the basics of mindfulness meditation. We will practice silent sitting and walking meditation, as well as have an opportunity for discussions, small groups, and daily hikes in the amazing New Mexico wilderness. A half-day of teachings, storytelling, meditation practices, and heartfelt conversation with Jack Kornfield. Join one of the West's most prominent Buddhist teachers for an exclusive half-day program to benefit InsightLA. Tap into the healing wisdom for lasting happiness inherent within each of us through the ancient, life-changing power of Buddhist teachings. Time:Tuesday 7:00 p.m. - 9:00 p.m.
SPECIAL LOCATION - Korn Hall Auditorium, Anderson Graduate School of Management. Books are available for fee and a signing takes place before and after the lecture. David Servan-Schreiber, MD, PhD is a writer, neuroscientist & Clinical Prof of Psychiatry, University of Pittsburgh School of Medicine. He is also a lecturer in the Faculty of Medicine of Lyon I. 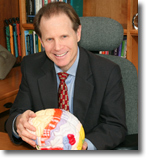 He co-founded and directed the Centre for Integrative Medicine, University of Pittsburgh Medical Center. Following his volunteer activity as physician in Iraq in 1991, he was one of the original founders of the US branch of Médecins Sans Frontières, the international organization awarded the 1999 Nobel Peace Prize. He is the author of Healing Without Freud or Prozac (translated in 29 languages, 1.3 million copies sold) and Anticancer, a New Way of Life (translated in 34 languages, New York Times best-seller, 1 million copies sold) in which he discloses his own diagnosis with a malignant brain tumor at the age of 31 and the self-help program that he put together to help himself in addition to conventional treatment. 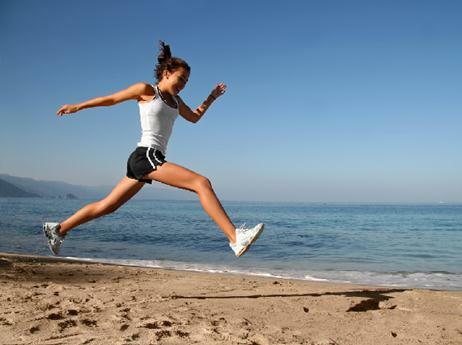 When it comes to health & wellness, there is no region more in the vanguard than Southern California. To celebrate the innovation, daring and new ideas percolating here and beyond, LA, The Los Angeles Times Magazine is proud to present the 1st Annual Conversations on Health & Wellness Day. The Day will feature an exciting array of speakers and activities from Sheryl Crow and Marianne Williamson to Dr. Dennis Slamon and Kathy Freston. Physicians and researchers are representing institutions from UCLA, City of Hope, Cedars Sinai, UC Irvine, and more. Medical professionals will be on hand to showcase the latest advances in health and wellness and everyday people and celebrities will share transformative personal stories. 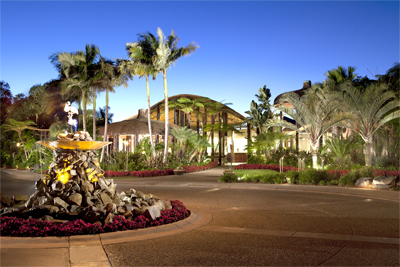 Guests will have access to interactive activities from juice bars and yoga to massage and non-invasive anti-aging techniques. Drs. Susan Smalley, Daniel Siegel and Marv Belzer from UCLA's Mindful Awareness Research Center will be Guest Speakers at the Los Angeles Times Magazine's Conversations on Health and Wellness. Dr. Susan Smalley, UCLA Psychiatry Professor will introduce mindful meditation, a technique scientifically proven to reduce stress, improve attention, boost the immune system, reduce emotional reactivity, & promote a sense of health & wellness. They present the science behind how mindfulness works on the brain/brain & offer experiential practices to teach basic mindfulness meditation. Fee: Free of charge, open to the public, first-come, first-served. For more information please call 310-794-6644 or click here. Enlightening Relationships is a groundbreaking conference that will deepen the ongoing conversation between Buddhism and Western psychology. Join a group of distinguished Buddhist teachers and psychotherapists for two days of panel and small-group discussions on a wide range of topics including mindfulness, emptiness, no-self, karma, anxiety, trauma, and more. On-line seminar presented by Dr. Lidia Zylowska (psychiatrist and MARC founding member) and Dr. Mark Bertin (developmental pediatrician). Also, please save the date for Mindful Awareness Practices (MAPs) for ADHD 6-week on-line course coming up Jan 2010. The Mindsight Institute is an educational organization devoted to promoting insight, compassion, and empathy in individuals, families, and institutions. With a scientific emphasis on the mind and well-being, we focus on the growth of healthy people who can nurture a more compassionate society. This website introduces us to you and offers various opportunities for learning. We welcome you to the Mindsight Institute and look forward to providing you with engaging and enriching experiences. UCLArts and Healing is a collaboration between the Arts and Healing Initiative, a nonprofit organization, and the UCLA Collaborative Centers for Integrative Medicine (CCIM), which promotes education and research in complementary, alternative, and integrative approaches to health and well-being. The CCIM represents the UCLA academic integrative medicine community on a national and international level. Our mission is to facilitate the use of arts-based tools for mind-body healing in the community as a vehicle for empowerment and transformation. We use four major strategies to achieve our goal: affordable, experiential education; networking; design, implementation, and evaluation of programs; and partnerships. The coming year, 2009, will mark the fourth year that the UCSD Center for Mindfulness has sponsored professional retreat/trainings in mindfulness-based interventions. For the past three years we have sponsored successful 5-Day Professional Trainings in Mindfulness-Based Cognitive Therapy (MBCT) in Southern California. These trainings have been notable for their strong mindfulness practice component (consistent with the philosophy inherent in mindfulness-based interventions) and their intimate learning environment (no more than 40 participants with 2-4 teachers in an intensive, experiential retreat-like format). Mindfulness Based Cognitive Therapy (MBCT) is an innovative, empirically validated treatment program designed to prevent relapse in people who have recovered from unipolar depression. 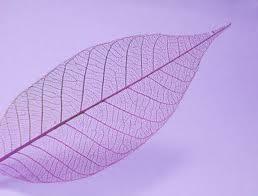 Self-knowledge and awareness of automatic patterns, grounded in sustained meditative awareness is its central tenet. Based on the research of Drs. Zindel Segal, Mark Williams, and John Teasdale and documented in their book Mindfulness Based Cognitive Therapy for Depression, the program integrates tools of cognitive therapy with the practice and clinical application of mindfulness meditation. Led by senior therapists, mindfulness teachers and retreat leaders Zindel Segal, PhD., Sona Dimidjian, Ph.D. and Steven Hickman, Psy.D., this training emphasizes the importance of the clinician's own meditation practice and self-inquiry, and provides extensive opportunities to practice key elements of the model with immediate feedback. The curriculum integrates didactic, experiential and small group learning and includes daily meditations, yoga/mindful movement, and periods of silence. UCLArts and Healing is a collaboration between the Arts and Healing Initiative, a nonprofit organization, and the UCLA Collaborative Centers for Integrative Medicine (CCIM), which promotes education and research in complementary, alternative, and integrative approaches to health and well-being. The CCIM represents the UCLA academic integrative medicine community on a national and international level. Our mission is to facilitate the use of arts-based tools for mind-body healing in the community as a vehicle for empowerment and transformation. The Cousins Center for PNI was founded cadre of research scientists at UCLA, brought together through the efforts of Norman Cousins, with the aim of understanding the interactions between the brain and the body and the importance of psychological well-being for both health and recovery from illness. 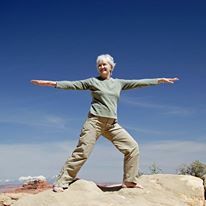 For those who are over the age of 60 and who are feeling stressed or depressed, hopeless, sad, are experiencing a loss of interest or pleasure in activities, anxiety, or insomnia, UCLA is conducting a 4-month research study using a study drug in conjunction with Tai Chi Chih (a set of slow-paced movements) or health education. If you are not currently receiving any psychiatric treatment with effective medications, you may qualify. Medical and psychiatric evaluations and limited physical exams are provided as part of the study. Evaluations and the study drug are provided at no charge. InnerKids is a national leader in teaching children self-directed skills to help them become more attentive and resilient. These skills take into account developmental differences, train focused attention and balance, and acknowledge clarity and compassion (the New ABC's) as part of the process of becoming more attentive and aware. As world events become increasingly complicated, it is critical that children learn to view them from a nuanced perspective; something that can only arise from a calm and focused mind. Developing such a mind requires training and practice. 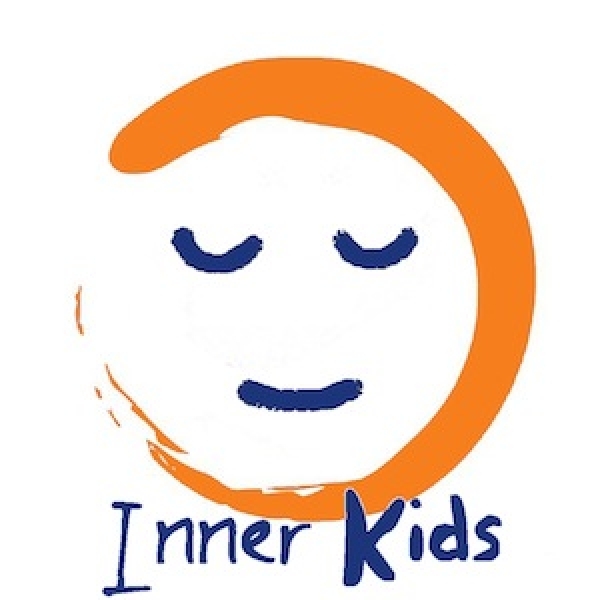 InnerKids provides children with both. Registration is limited and will be on a first-come, first-served basis. The following events and organizations are presented by our extended community and may be of interest. These events are neither sponsored nor endorsed by MARC.